We first witnessed Luke Million’s synth wizardry with his Future Classic releases back in 2011. This was closely followed by cult classic ‘Arnold’ which found a home coming in at #71 in Triple J’s Hottest 100 that year. Arnold continues to have a fanatical following with more than 2.5 million views across YouTube. The Synth Lord is oft a term associated with Luke Million. Luke has a string of seminal releases including ‘Midnight/Galaxy’ via Nurvous Records, ‘Light and Sound’ and ‘Fear The Night’ etc. 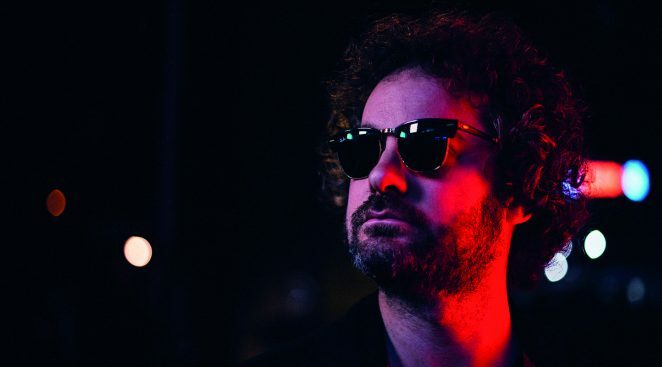 The Triple J waves are no stranger to Luke’s releases with tracks Arnold, Midnight and Fear the Night hitting radios and ears on high rotation. His trademark sound has been in demand with Luke crafting a string of remixes for artists including Tkay Maidza, Porsches, Young Franco, Moullinex, Ou Est Le Swimming Pool and even his own band The Swiss. Ahead of Friday night’s gig, we caught up with Luke Million for a chat about his music world. Do you recall the first time you heard an electronic music track that really pricked your ears? I recall hearing Kraftwerk for the first time at a friends house when I was a teenager. He showed me “The Robots” and I was completely blown away by the sounds I was hearing. It was like pulling the curtains open to reveal another world of sound. Who were your main electronic music influences? Pioneers like Vangelis, Jean Michelle Jarre, Giorgio Moroder and Kraftwerk were instrumental in my electronic music education. Growing up I was also particularly drawn to Daft Punk, Justice and The Chemical Brothers. What electronic music albums do you see as benchmarks for sound quality? I just upgraded my monitors in the studio to Eve Audio SC207’s and have actually been making a playlist of reference music that I use as benchmarks. I always gravitate towards Daft Punk’s “Discovery” and “Human After All”. “Come With Us” by Chemical Brothers is another one I always reach for. What was your first synth or piece of electronic music gear? My first synth was a Roland SH-2. It was gifted to me by my music teacher and was basically brand new in the box, untouched for 20 years. I still have it today and is a secret weapon of mine. What’s your fave piece of gear in your home studio now? I’ve just moved it from my home studio to my main studio, but my completely restored Rhodes Chroma from 1984 is now my favourite bit of gear. What was the last piece of new gear you acquired? Roland SE-02. I used to have an original Minimoog in the studio but it was on loan and I sadly had to return it to it’s owner. The Minimoog sound was such a “go to” for me and the SE-02 is a great way to be able to recreate the experience and sound of a Minimoog but with all the modern benefits. What will your stage rig consist of for your Melbourne Synth Festival performance? I will be doing a hybrid set which meets somewhere in between a DJ set and my Live show. I definitely will be bringing a few electronic goodies to jam on. When did you first get into keytars and will you be utilising one of those at Melbourne Synth Festival? I always had an appreciation for keytars but I would not get my first one until 2014. I remember browsing ebay after a few drinks (not recommended) and I came across an original Korg keytar from 1984. I ended up being the highest bidder and the keytar became an integral part of my shows from then on. There will definitely be a keytar at the festival and will either be this original one or my recently acquired Roland AX-Edge. Electronic music gear can be fickle. Have you had any on stage nightmares/gear malfunctions? Indeed there have been prickly situations over the years but the show must go on and you musn’t let it get you down. I learnt early on that taking vintage gear on the road is not such a good idea. Having modern equipment and professional road cases will help the stability of your gear. What can we expect on the night at MSF? What material will you be mainly drawing from? I will be playing some of my original works and also a few remixes/edits I have made. You can definitely expect some keytar shredding. It has been a busy few months for me. In between working on my own music and touring, I have been getting involved in mixing and production for other artists. I have also been exploring new equipment like the Akai MPC-X and the Roland SE-02 and TR8’s. What markets have been good to you overseas? Where are the biggest Luke Million fans around the world? I’ve always had a great time when I have played in Europe. Electronic music is embraced in their culture and I really feel a connection when I am there. Looking at where my fans come from, Mexico is surprisingly always high up there even though I have never been there. But I feel the most love at home here in Australia. What have you been listening to lately, any other artists inspiring you? I’ve been going on journeys with Spotify and seeing where the recommended playlists take me. It’s been a mix of old school disco/funk, movie soundtracks and new releases. Are you currently collaborating with any other artists? I recently spent some time in LA collaborating with a bunch of artists which was awesome. I’m definitely looking forward to collaborating more in the future. What’s coming up and on for 2019? 2019 will be the year I finally release a full length album. I can’t hide my excitement in being able to deliver one cohesive journey of synthesizers and all my influences coming together and then touring it around Australia and overseas. Tickets to Friday night’s concert can be purchased HERE but hurry as tomorrow is the last day you can get your early bird ticket discount!